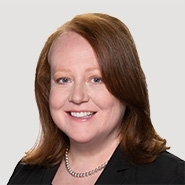 On Friday, March 1, 2019, Partner Mary Dugan will moderate a panel discussion entitled "Lawyers Do It Legally." The panel will discuss interesting criminal and civil cases pending in Delaware's courts. 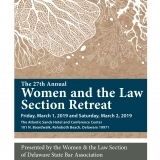 Ms. Dugan will be joined by panelists Karen Lantz, Esquire, American Civil Liberties Union of Delaware; Christian Douglas Wright, Esquire, Department of Justice; Benjamin Alexander Schwartz, Esquire, Schwartz & Schwartz, Attorneys at Law, P.A. ; and Philip Thomas Edwards, Esquire, Murphy & Landon. For additional information about this panel or the retreat, download the PDF brochure below.